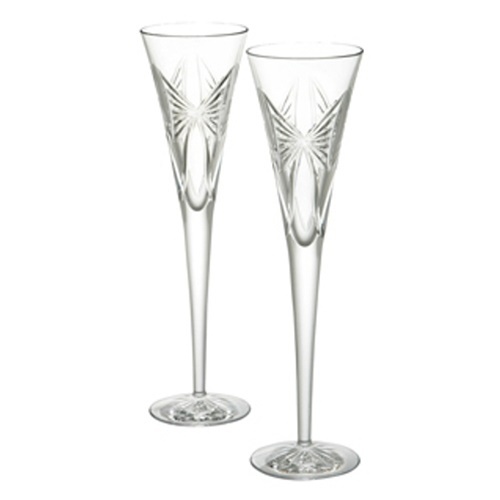 Raise a toast with these elegant Champagne Flutes; featuring the characteristic weight of Waterford's hand-crafted, fine crystal. To preserve the clairty of your crystal we recommened handwashing. Handcrafted by Waterfords great craftsman.